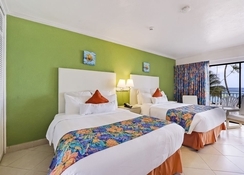 The Southern Palms Beach Resort is located just a short stroll from St Lawrence Gap, and offers a spa and wellness centre as well as an outdoor pool and mini golf course. 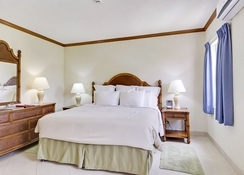 In addition to being within walking distance of Graeme Hall Swamp, the property offers comfortable rooms equipped with a private bathroom, a private terrace and a refrigerator. Guests can make the most of the treatments and relaxation facilities offered by the hotel, including a beauty centre. The reception staff will assist you all day and can help you book tickets and guided tours. The hotel has rooms that include a hair dryer, an iron and a flat-screen TV. All of them have a telephone and a radio. The on-site restaurant serves international and Caribbean cuisines, which guests can enjoy on the outdoor terrace. At the end of the day, guests can relax and unwind while having a drink in the comfortable lounge-bar. 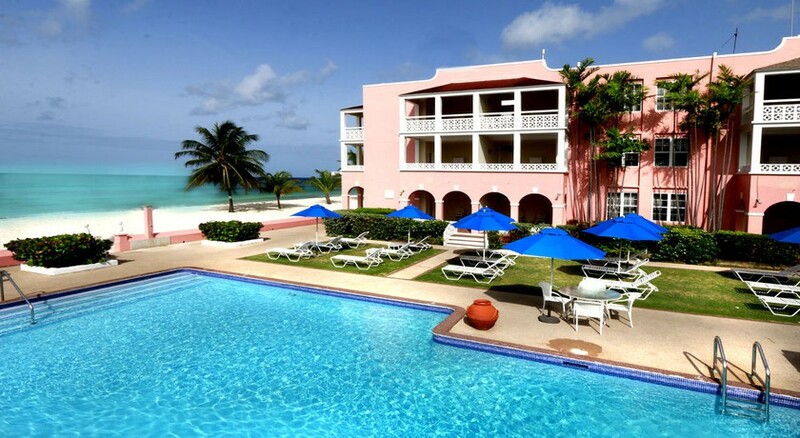 The excellent location Southern Palms Beach resort allows access and comfortable walk to the beach. 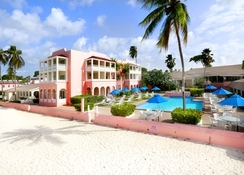 Southern Palms Beach Resort is located directly on the beach. 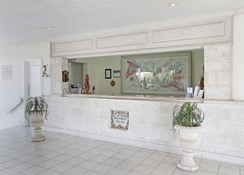 This hotel is located on the south coast, 20m from Dover Beach in St. Lawrence Gap. Guests will find a wide range of restaurants, nightlife venues and shops within walking distance (approximately 5 minutes) of the hotel. Links to the public transport network are 500 metres away. The Grantley Adams International Airport is 10km from the hotel. The hotel comprises buildings in an urban colonial style and a total of 92 single rooms, 70 double / twin rooms, 19 suites and three junior suites. 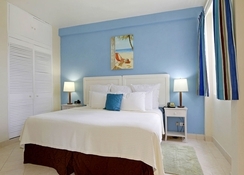 The rooms showcase a vibrant Caribbean décor and come with an en-suite bathroom. Room amenities include a double bed, television, tea and coffee making facilities, air conditioning and an ironing board. 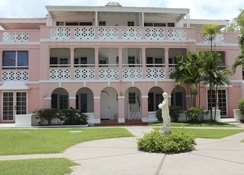 Every room also offers a balcony or a private terrace. The restaurant at the resort offers buffet style meals along with an a la carte menu. There is also a café and a bar. Explore Caribbean and international cuisine, and a host of Indian dishes at the beach restaurant. There is also a café and the Khus Khus Bar. There are facilities for water gymnastics, along with a fitness centre. The hotel has ample sun loungers, parasols, beach chairs, etc. It also arranges for guided tours and safaris. Relax and rejuvenate at the spa and beauty salon offering a host of services.